an envelope with the return address “Internal Revenue Service” stamped on it. And this isn’t the one that has the clear window with your refund check showing through. As you stare at the envelope, your heart starts to race, you break out in a sweat, and you start to pray (even if you aren’t religious) that it’s not bad news. You open the letter and it’s a notice that the IRS is either questioning items on your tax return, or you’re going to be audited. Worse yet, you find out someone stole your identity, filed a tax return in your name, and collected a fraudulent refund! You might be wondering why you received this notice in the first place since you have a CPA preparing your tax return. Here’s the truth—even if you have a professional preparing your tax return, you are subject to being audited for a variety of reasons, one of them being you were selected at random. While we make every effort to prepare your tax return as completely and accurately as possible, oftentimes there are missing items (such as 1099’s) we were not informed of at the time the return was prepared, which will draw the scrutiny of the IRS. Even people who have professionals prepare their returns are audited, or receive notices, and can benefit from audit protection. The fact is the letter the IRS sent you is claiming you owe them money, or claiming you didn’t report something properly, or claiming something you reported shouldn’t have been reported. It’s not a fact. They want to talk to you and ask you more questions; are you prepared to answer them? Or what if they say one or even several of your deductions were not allowed to be taken; are you prepared to tell them otherwise? In a moment I’m going to tell you how to eliminate the stress and worry of what to do when you receive an IRS notice, because, let’s face it, when it comes to the IRS, you’re guilty until proven innocent. How are you supposed to make sense of the letter they sent you that can be anywhere from 2 to 11 pages that’s filled with verbiage that’s pretty much intended for an expert to understand? Sure, you might think, “I’ll just call the phone number on the notice and see what this is all about,” but be prepared that you’re about to start a very long period of wasted time dialing, being put on hold, and even being hung up on. That’s right—you can be waiting on the phone for 30 minutes and then they hang up on you! The IRS calls this a “courtesy” disconnect. Please explain to me what is courteous about someone hanging up on you? What if the IRS wants to do a Full-Blown Audit? Many times the IRS wants you to go to their offices. Do you want to go down to the IRS office by yourself, pass through security as tight as an airport terminal, then meet with an IRS agent who will show you his badge that lets you know he’s in charge? He will then lead you to a conference room and proceed to ask you 54 very invasive questions about your affairs that you are expected to answer on the spot. Are you prepared to answer those questions? Do you have any idea what those questions will be? This is serious stuff, and you better remember that old adage, “What you say here can and will be used against you.” Talking to the IRS yourself is the WORST thing you can do. Here’s another scenario: what if you file your taxes and you get a notice in the mail that says, “We cannot process your income tax return because we already have one on file for you.” That means that some fraudster stole your identity, mailed in a fake tax return in your name, and made off with a big fat refund check that was supposed to be yours. How in the world are you supposed to prove that you are you? Are you going to “wing it” by representing yourself and hope that the tax authorities side with you? More than 1,500,000 taxpayers had their tax data stolen in 2016 and 2017 with $6.2 billion fraudulently claimed. So, yes, it happens a lot more than you realize. Listen: the IRS has only one mission—to access and collect more money from you. They say that they are playing fair, but do you really believe that they have your best interests at heart? (The truth is, which the IRS will never fess up to, the agent’s annual review and performance incentives are based on how much more money they can squeeze from taxpayers like you.) The IRS has the power to garnish your wages and seize your bank accounts—something even the President of the United States cannot do. Even if the letter seems to be asking for something simple, you could damage your case without realizing it. 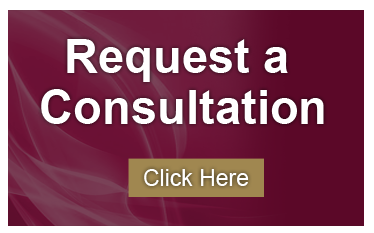 We ask our clients to allow us to handle all of the contact with the tax authorities from start to finish, ensuring that the case is resolved as quickly and as early as possible. Under law, only a CPA, an attorney, or an enrolled agent (a person that has been accredited by the IRS), besides yourself, can legally represent you before the IRS. That’s why having a seasoned CPA such as The Edwards CPA Group at your side is critical if the IRS comes knocking. Once we file a Power of Attorney form, the IRS must deal directly with us. We handle all communications and correspondence on your behalf and, if necessary, meet with the IRS revenue agent so you don’t have to. 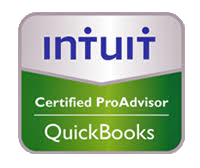 We have an affordable plan that I will tell you about in a moment because one of the problems is that you’ll have to pay between $3,500 and $10,000 and up for a licensed tax professional to defend you in an audit. Think about it: that’s money that could be spent on a dream vacation with your family, home improvements, or to spoil your kids! You see, many people think that IRS representation is automatically included in the tax preparation fee. Of course, if we do make an error, we will correct the issue and take responsibility for any penalties or actions with the IRS. But audit representation can range into the thousands of dollars. 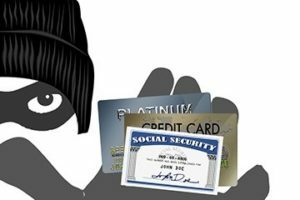 With the increase of tax identity theft cases and the frequency of audits over the past years, we are concerned about your well-being and have created a new plan to protect you. The IRS wants your money—and they’re banking on you representing yourself so they can push you around and get more money out of you! Not only that, but it pains us to see clients have to pay $3,500 and up to resolve a simple audit due to the time it takes to represent a taxpayer. And other small income tax notice issues usually take $300 to $500 or more to help resolve. Imagine what it would be like to just call us up and tell us to “handle” any income tax notice or audit by calling and/or going to the IRS for you. And imagine you don’t have to pay an arm and a leg to get us to do it. That’s right, you get to stay home. If the IRS sends you a notice, we’ll automatically file a “2848 Power of Attorney” on your behalf and will work with the IRS on the issue without any additional time investment or expense on your part. That way you can go about your daily life knowing that you have a bona-fide expert professional on your side dealing with the IRS/State so you can sleep better at night. This sure beat having to negotiate with the tax authorities yourself without knowing any of the tax law. Representing yourself is a surefire way of getting manhandled by the IRS and having to pay through the nose for back taxes and penalties. This coverage is all a part of our Audit Protection Plan. For a small fee that’s added to your tax preparation invoice, we’ll shield and protect you from ever having to deal with the tax authorities by yourself in case you get an audit notice or correspondence related to the filing of your tax return from the IRS or state tax authorities. And if you ever have to meet with an agent in person, we’ll attend the meeting on your behalf. You don’t even have to go. Beginning this year, when your return is prepared, we will determine which Audit Protection Plan you qualify for and this fee will be automatically added to your invoice. You have the option to “opt out” of the plan if you choose, and we will remove the amount from your invoice; otherwise, you can agree to the protection by paying the small fee. 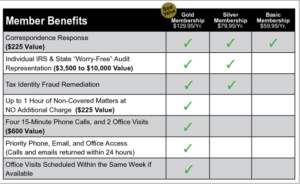 But if you choose to “opt out” of the worry-free Audit Protection Plan, you will be charged our usual hourly billing rates to handle any notices from the IRS or state tax authorities. We also offer the same protection for Corporations and Partnerships (Forms 1120 and 1065). 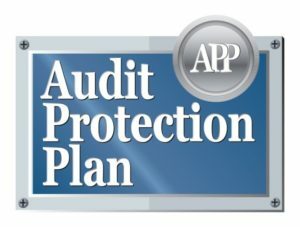 Please call us for information on our customized business audit protection plans. You can sleep better tonight knowing you are protected from one of your biggest nightmares.